In Friday’s Welsh Government reshuffle, Welsh First Minister Carwyn Jones invited the highest number of Labour and Co-operative AMs to date into his ministerial team. 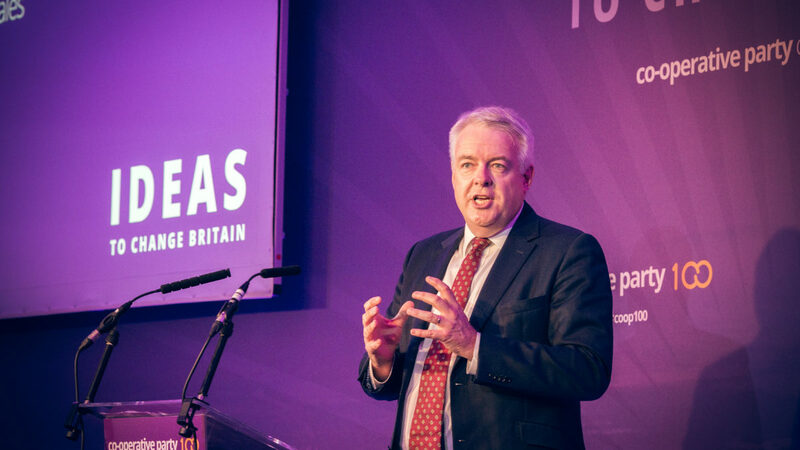 I’m proud that in Wales, the values and the influence of co-operative members and co-operative ideas is greater than ever…of all these achievements, perhaps the one I’m proudest of most is that in Wales we’ve got Labour and Co-operative AMs in government turning great ideas into practical policies that change people’s lives for the better. Individuals that are delivering on those founding principles in government and making good on the hope and the promise of that very first meeting in Central Hall 100 years ago. In Friday’s Welsh Government reshuffle, Carwyn reinforced this by inviting the highest number of Labour and Co-operative AMs to date into his ministerial team. Jeremy Miles, AM for Neath, will join the Government as Counsel General, subject to his nomination being ratified by the Assembly. Jeremy is currently Chair of the Co-operative Assembly Group and of the Cross Party Group on Co-operatives and Mutuals. Alun Davies has been appointed as Cabinet Secretary for Local Government and Public Services and Rebecca Evans moves portfolio to support Alun as Minister for Housing and Regeneration. Vaughan Gethin remains as Cabinet Secretary for Health and Social Services, joined as his deputy by another Labour & Co-operative AM, Huw Irranca-Davies, as Minister for Children and Social Care. Co-operative Party member Julie James, AM for Swansea West also joins the Cabinet as Leader of the House and Chief Whip. The reshuffle shows the strong and growing influence of co-operators in Wales, now seen not only in the Welsh Government but across the spectrum of political engagement from Westminster to our local government leaders and Police & Crime Commissioners.